Now you might be asking, where oh where can I get my hands on the recipe for such a culinary delight? Believe it or not, it’s all yours, along with recipes from nearly a hundred of your favorite authors, for the low, low price of FREE!!! 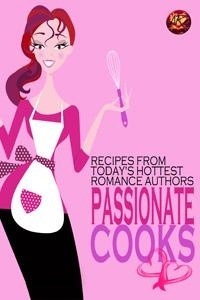 On October 1st ARe will release their free cookbook collection, Passionate Cooks. And yes, I was one of the lucky writers to be included. So, save the date! And please, tell all your friends. This is a great, easy recipe. It’s rustic, which means you can leave the skins on the potatoes and rough chop. No fancy dicing necessary. Potato skins are so thin these days, that it’s fine to leave them on. I love this soup on a rainy Saturday when I’m too lazy to fuss too much with dinner. Vegetarian? No worries, switch to veggie stock and substitute Great Northern beans for the potatoes. I like to have Meatless Mondays and have served this soup sans sausage and it was a hit! You will have to double down on the spices, and if you use canned beans, be sure to rinse them off before adding them to the pot, otherwise the’ll have a yucky metallic taste. 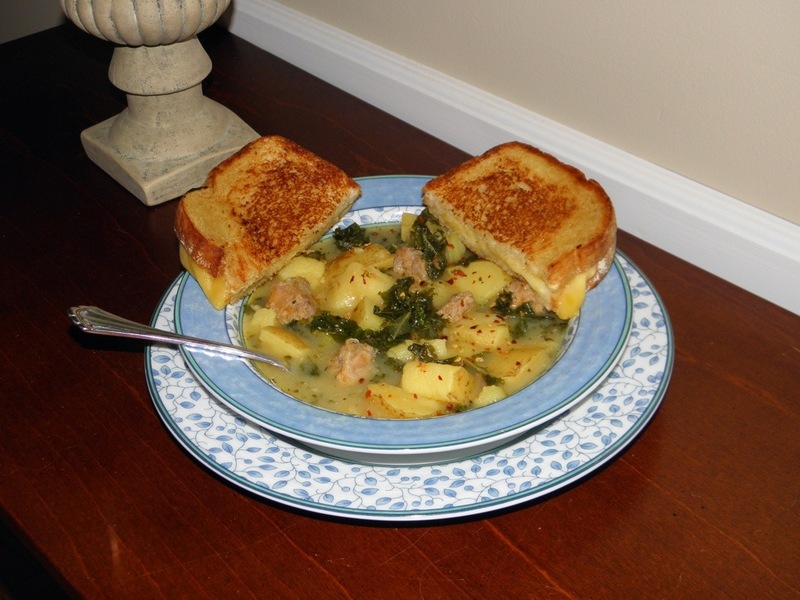 Here I served it with grilled cheese sammies, but it’s equally delish with a lovely crusty Italian bread, or a good old pan of Southern cornbread. A rib sticking meal for sure! Previous Post Goddess of Milan Cover!!! This looks delish! Thank you for sharing!